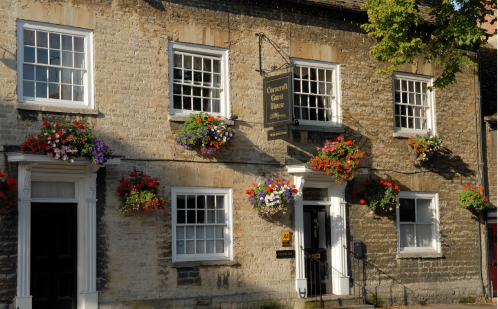 If you are looking for a last minute break, weekend break or just in need of bed and breakfast accommodation conveniently located near the Cotswolds then Corncroft Guest House is tor you. We have built our reputation on our excellent service and our friendly staff will really make you feel welcome! Corncroft stands on the corner of the Crofts and Corn Street and was once known as ‘Parliament House’. A possible source for this evocative name comes from J.A. Giles’ History of Witney’. It is suggested that Witney is derived from the Anglo-Saxon names of, Witan-ige or Witan-eye, which meant “Island of the Parliament’. It has also been suggested that James I held a Parliament here in Witney, and the venue wherein this supposed Parliament was held would naturally enough have taken the name ‘Parliament House’. 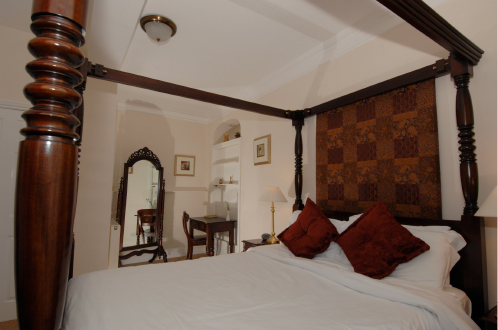 Our accommodation comprises of nine bedrooms furnished with Queen Anne and Jacobean Style furniture. 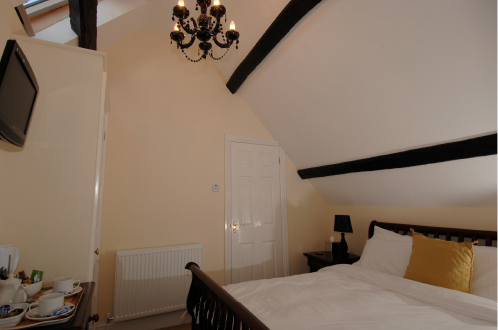 All rooms are en-suite with either individual showers, or a combination of bath and shower. Tea making facilities and flat screen television arc available in each room. The dining room is spacious and can seat approximately 20 people offering full English or Continental breakfasts. Breakfast times will be set but there will be flexibility if required. Witney was a lively market town with a developing industry making blankets and gloves and by 1800 there were five working mills in and around Witney. base to explore nearby Burford and the Cotswolds or perhaps Blenheim Palace, Oxford or even Cirencester, Stratford upon - Avon and Cheltenham. Witney has a unique blend of shops from large chain stores to local independently owned establishments. The Marriotts Walk development brought a new retail area to Witney in 2009, with stores like Debenhams, Marks & Spencer and New Look it has become an important addition to Witney’s shopping facilities. If you are searching for food and drink, there are a host of pubs, cafes, tearooms, gastro pubs, traditional country inns and restaurants in Witney, offering something for everbody’s taste. Many of which serve local produce. There is also the Witney Food Festival which is currently planing its 5th year. So put the 20th May 2017 in your diary now. There’s plenty to do in the Oxfordshire Cotswolds: the attractions include historic houses like Blenheim Palace, animal attractions, museums, gardens, a wonderful theatre and even a number of free attractions including churches and nature reserves; for those wanting activities there’s boating, walking, cycling and watersports, as well as several leisure centres. Witney itself has a lively calendar of events including the annual Witney Carnival and Witney Feast. Please fill out this email form below or call us on calling 01993 773298.